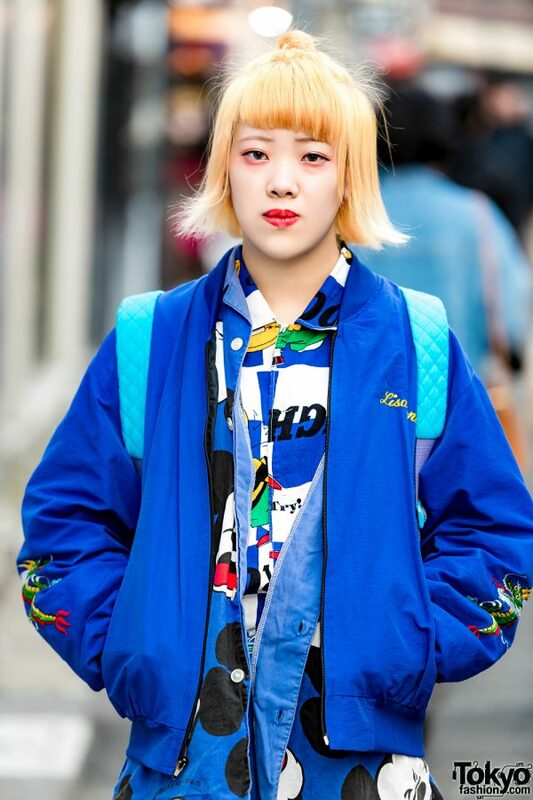 While out on the Harajuku street one afternoon, we came across Fujiwara, whose blue ensemble and fringed blonde hair easily caught our attention. 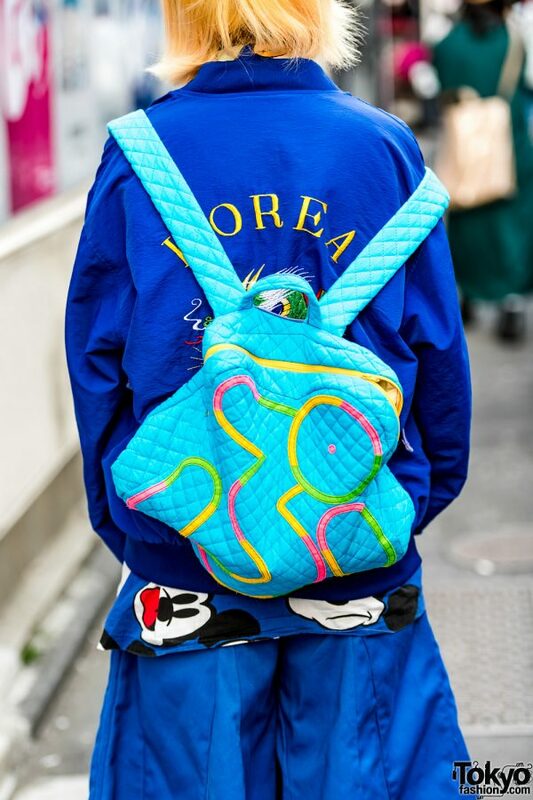 Fujiwara is clad in a blue San To Nibun No Ichi (a popular Harajuku resale shop) jacket, which she wore on top of a blue-and-white checkered shirt with cartoon prints, and layered with a blue Mickey Mouse button down shirt. 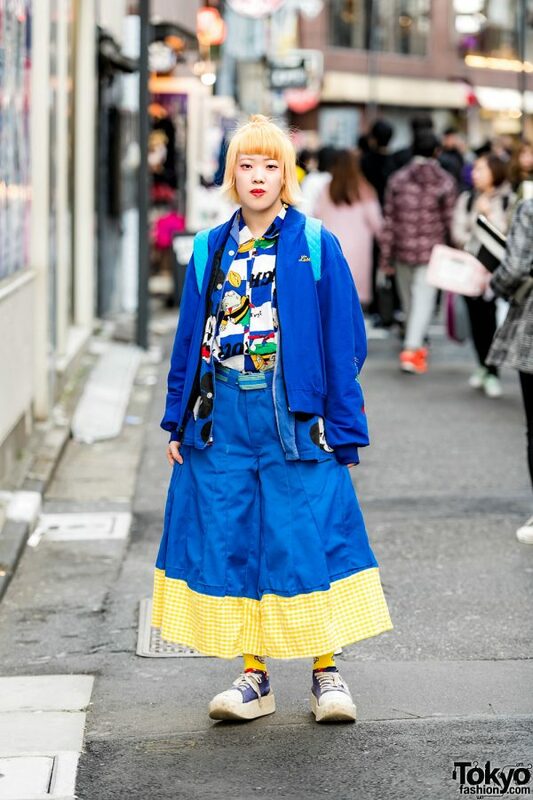 She styled her layered tops with remake blue wide-leg pleated pants with a yellow gingham print hem and cinched with a striped belt. 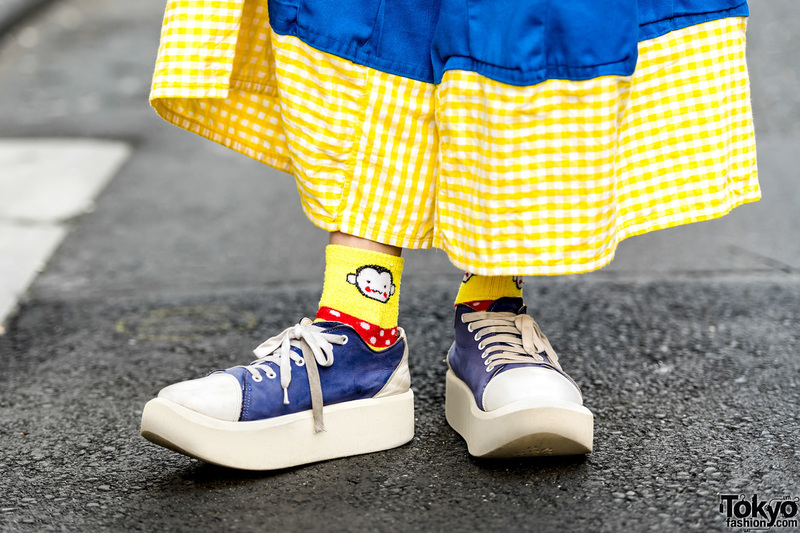 Fujiwara completed her outfit with yellow printed socks, platform blue-and-white sneakers from Tokyo Bopper, and a blue quilted backpack from Kiramisa. Hoyajuku is Fujiwara’s fashion favorite, and she is active on Twitter and Instagram.